Manufacturer of a wide range of products which include flex resistance polyurethane seals. 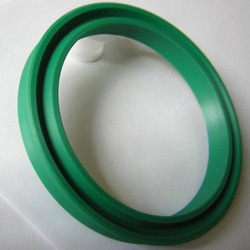 We are engaged in manufacturing and supplying a wide range of Flex Resistance Polyurethane Seals. These are manufactured using superior grade raw material that is procured from well-known vendors of the market. Furthermore, these are machined as per precision tolerances on CNC machines. Our seals are appreciated by clients for features like abrasion resistance, high load bearing capacity, excellent flex resistance, superior cut & tear resistance and high tensile strength. We offer these at industry leading prices. Looking for Flex Resistance Polyurethane Seals ?